What Is Florida’s “3 Step Rule”? Before we dive on in, we must preface this article by saying this is not legal advice and you should not rely upon it as such. Contact an attorney in your area for legal advice specific to your individual situation. Chances are you’ve heard of “The 3 Step Rule.” But what exactly is it? “The 3 Step Rule” is an imaginary rule that someone, somewhere, made up to describe how to store your firearms in your car if you don’t have a concealed carry permit. 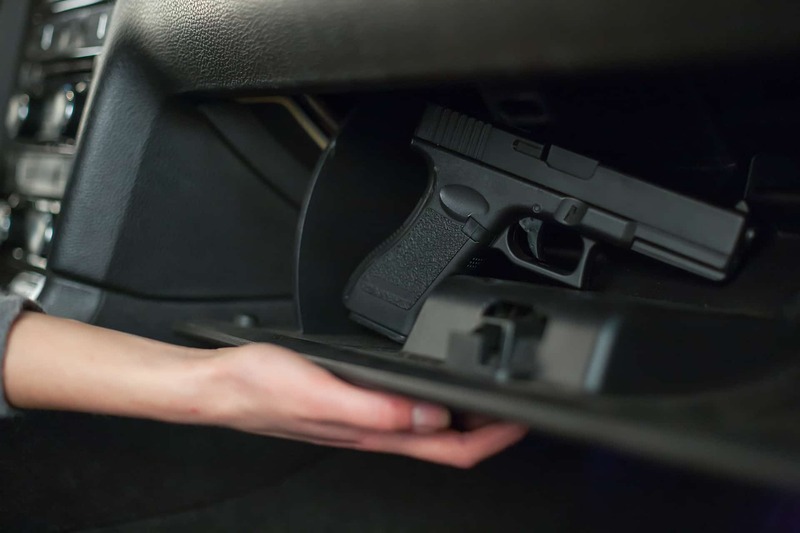 There are a few variations to the rule, but the general idea is the same: If you don’t have a concealed weapon permit, you can have a gun in your vehicle as long as it is at least 3 “steps” away. These steps could include things such as opening the glove compartment, removing the firearm from a holster, loading it, etc. But the truth is…”The 3 Step Rule” is completely made up. It has never existed and it probably never will. The good news is the actual law is much more specific. §790.25(5), FSS outlines an exception to the concealed carry permit requirement. It covers the lawful possession of firearms in a private conveyance (vehicle). Let’s break it down. The first four criteria are pretty self-explanatory. Let’s explore the last one a little further. “‘Readily accessible for immediate use’ means that a firearm or other weapon is carried on the person or within such close proximity and in such a manner that it can be retrieved and used as easily and quickly as if carried on the person” (emphasis added). For example, driving (or riding) with a firearm tucked between the center console and the seat would be considered “readily accessible for immediate use.” Even though the firearm isn’t physically on you, it is stored “within such close proximity and in such a manner that it can be retrieved and used as easily and quickly as if carried on [your] person.” This is a third degree felony, unless you have a permit. Keep your firearms “securely encased” and not “readily accessible for immediate use” and you should be good to go. Remember, this only applies to carrying in a private conveyance. If you are not in a private conveyance these criteria do not apply and you may be violating state law. The best and safest option is to get your concealed carry permit. Then you don’t have to worry about whether or not your firearm is “securely encased” or “readily accessible for immediate use” (unless you’re on school property). Don’t put off the protection and safety you and your loved ones deserve. The first step to getting your CCW permit is to sign up for our concealed carry class today.